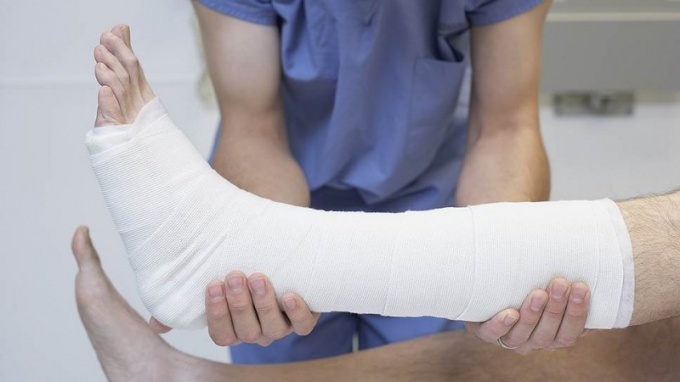 After treatment of the fracture should remove the plaster cast with the help of special medical instruments. If softening the plaster, then you can do that with scissors with rounded tips. How do you do it? Gypsum is a powder of white or yellowish color, a mineral from the class of sulfates. It is obtained by calcination of gypsum (sulphate of lime) at a temperature not exceeding 130°C. Gypsum provides a secure fit, quickly hardens. Thanks to these qualities, it is widely used in medical practice, being the basis of the plaster bandage. Why is a plaster bandage? Health workers plaster bandage, in order to ensure the immobilization of the injured area of the body. The cast is used for fractures, disruption of the functioning of musculoskeletal system. Thanks, plaster technique, it is possible to fix the damaged area, for further recovery and treatment. How to remove a plaster cast? To free the cast part of the body is possible only when you are sure that the fracture has grown together. To verify this, it is best to do x-rays. When removing the plaster should be extremely careful and attentive. You need to remember that muscles are weak and any sudden movement can cause pain. For self-liberation from gypsum you need: warm water, towel, scissors with rounded tips. To remove the plaster without medical attention and special tools, you need it to soften. For this, you need to wet clean it with warm water, put a wet towel, and let the plaster soak for 15-20 minutes. After you make sure it is soaked enough, you need to slowly and carefully cut the bandages and plaster. In order not to damage the plastered surface of the body, cut the plaster should be small pieces. What to do after removing a cast? Immediately after removal of plaster should be cleaned patch of skin under them, clean water with a small amount of alcohol. Then gently dry with a towel, a blotting movements should dry it. To avoid irritation and dryness of the skin, it is necessary to lubricate the skin moisturizer. But it is better to seek medical help! First, you should make an x-ray. He needed to know for sure that the fracture has grown together. Second, in consultation with the attending physician, is necessary to begin to develop a joint, gradually increasing load, following all the requirements to do massage to restore blood circulation. And, thirdly, it is necessary to observe , which will prescribe the doctor. based on the foods that contain large amounts of calcium: dairy products, meat, broths.